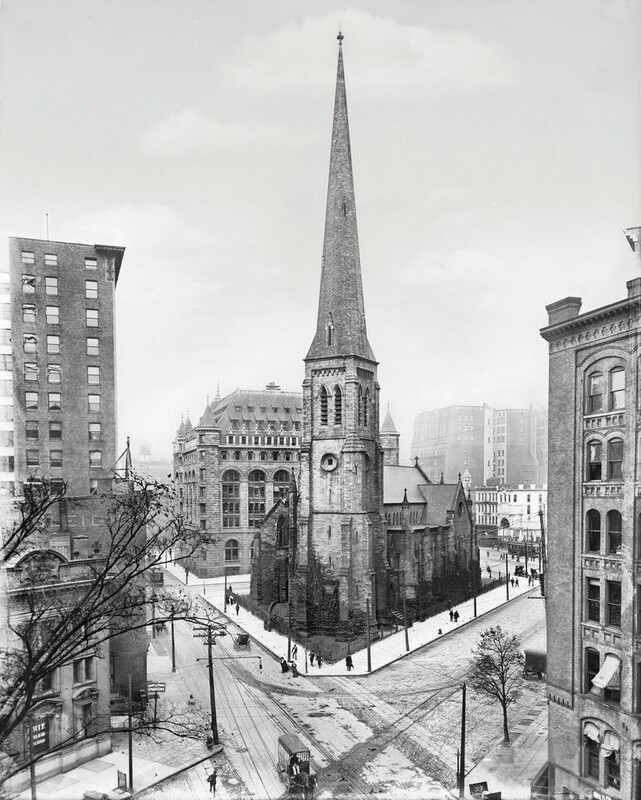 It took nearly 20 years after its doors were opened in 1851 to complete the 270-foot spire of St. Paul?s Episcopal Cathedral. To save money, leaders opted to quarry sandstone from the nearby town of Medina. Medina sandstone featured prominently in Buffalo architecture, including two other churches, H.H. Richardson?s Buffalo Psychiatric Center and sidewalks on Delaware Avenue?s Millionaires? Row.